Here is a hack for Clumsy Ninja, the hot Game on App store. Many of you have requested Clumsy Ninja hack, but I didn’t have time to do it.Luckily, I update new games and hacks on every Wednesday. I apologize for the late. Explore the Box of Toys content pack! -Jet Pack! Give your ninja the power of flight. -Spring Boards! Use your imagination and get some incredible air. -Cannon! Ready…Aim…FIRE! Your daring ninja will reach great heights. -Target Tower – Can you hit the bullseye? -Jump Suit! Wear the daredevil suit and activate helmets for your chicken and squirrel. Safety first! We’ve also added additional bug fixes and optmizations to improve your Game. 8. Done! Go ahead spend some coins and gems. 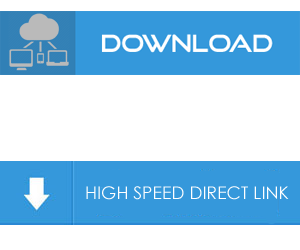 Only VIP members can view this download link. Subscribe or Login. I have tried numerous times to get this to work. Run and close, kill from multitask. Read, Write, and Execute on all three. Reboot iPhone 5S on 7.04. Start the game with no changes in currency. Worked for me! Thanks. I also realized that the hack syncs over Game Center. If you hack one device, your non-jailbroken devices will have your new totals. Sadly it doesn’t work on the latest version. I’ve put the file in the right place, set it to 777, I ran the terminal, used Cysign to sign the binary, it was successful, but when I try to run it, it auto minimizes, doesn’t wanna start. Cysign is easier to use compared to ldone, ioS 5.1.1 here. It works on the latest version. I have signed the binary under iOS 5.1.1, now please redownload the file then just copy and set permissions, and you are good to go. Let me know if you still having any problems with it. Any chance we can get an updated version? for some reason my game crashes every time I try to open it? You forget step 6, set permissions to 777. What is your iOS version? iOS 7?